The inclement weather could not dampen the excitement of the Fair Hill International CEI*** 100-Mile FEI Endurance Ride at the at the 16th annual Fair Hill International Festival in the Country, presented by Dansko, on Saturday. After 100 grueling miles, it was a thrilling race to the finish with the top four only seconds apart. In the end it was Tom Hutchinson of Bethel, ME, aboard Prymtym crossing the wire first to win in a ride time of 11:42:33. Ryan Rawaki, the 18-year old rider from Ontario, CAN came in only three seconds behind to finish in a ride time of 11:42:36 riding JC Quick Quint. The pair was also awarded the prestigious Best Condition award. Third place went to Connie Walker riding Electric Smoke in a ride 11:42:54. Walker received the mount just two days prior to the ride from owner Joanie Bruker. Two-time World Endurance Champion Valerie Kanavy of Ft. Valley, VA and Shah Don led for most of the final nine miles, but wound up fourth in a ride time of 11:42:59. Michele Roush describes it as being a "mystical" sort of thing. And her father, Dale Roush, doesn't deter from that definition of his daughter's fascination with horses. In fact, metaphorically speaking, he says it goes much deeper than that. "All I can tell you is that when she turned 2 years old, she didn't just get interested in horses, she became a horse," he said, recalling Michele's upbringing in Marin County. "Everything in her life was geared that way from then on. We held her off until she was nine, when we finally got her a pony. "But before that, she had the stick horse and cowboy outfit. 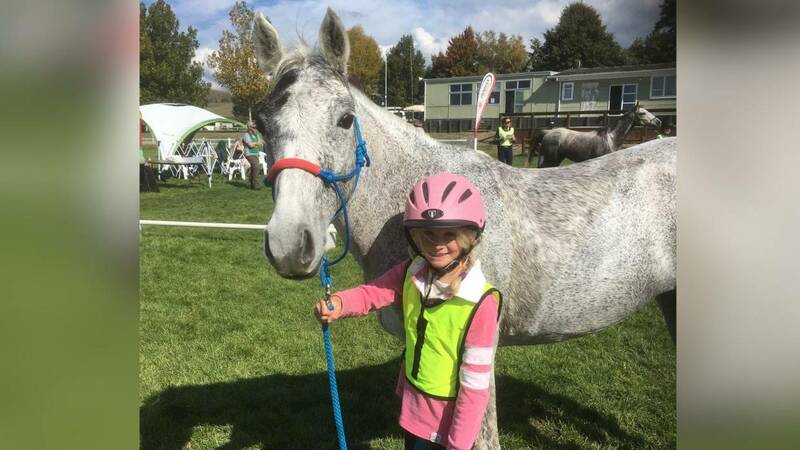 She wore out two stick horses, in fact, before we got her into the pony club." for the Dubai Championship will officially be open on 1 November 2004. Leading a horse around a show arena? B-o-o-o-o-ring. Trotting a horse across a sun-washed pasture on a pleasant summer day? Ho-hum. Running a horse out on a steep, rocky, narrow trail way out in the back country where only the good Lord himself can hear you whoop and holler -- now that's a grand time. Don Drenning thinks so, anyway. CARMEL, CA (PRWEB) October 6, 2004 -- The Multiple Sclerosis Quality of Life Project (MSQLP), a 501 (c) (3) Not-for-Profit Corporation that serves multiple sclerosis patients in California?s Central Coast region, today announced that local endurance horse rider, multiple sclerosis patient and MSQLP spokeswoman, Alexandra North, will compete in the Fair Hill 100-mile ride in Elkton, Maryland on October 16, 2004. Usually, North competes on her own horse, Butter Bea; however, this time she will be riding a borrowed horse named Benediqtine, owned by Lana Wright, of Maryland. The Fair Hill course is the site for the 2005 North American Endurance Championship that North hopes to attend with Butter Bea next year. MUNISING - Fifteen-year-old Marlie Birr of Manistique sat near the banks of the Indian River Saturday afternoon, watching quietly while her horse pulled hay from a small bale. Birr was taking a break at a vet check along the 50-mile course of the Pine Marten Run, an endurance and competitive horse event held for seven years now in the Hiawatha National Forest. "A day like this is really nice," Birr said, smiling as she looked up into the sunlight.